Planned Lifetime Advocacy Network (PLAN) is a Vancouver-based social enterprise that partners with families and people facing social isolation to secure their future by mobilizing relationships and leveraging community assets. 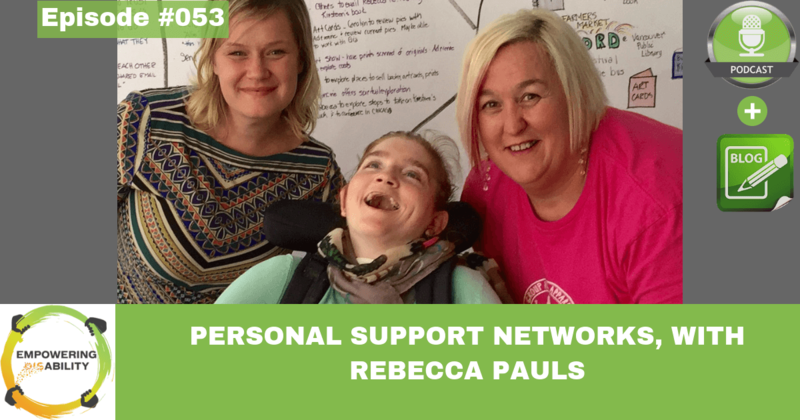 Since joining PLAN three years ago, Rebecca has led a complete re-design of programming to integrate principles of person-centred planning, ABCD, narrative therapy, and independent facilitation. After demonstrating the strength and flexibility of this community approach, Rebecca is regularly invited to consult with organizations about how it can be scaled and applied to population groups across North America. You can access the resources on building personal support networks (e-books and online courses) mentioned on the podcast in the resource section at the bottom of this blog).